Design and construction updates coming soon. ALL of our students, staff, and families strengthen our community. Learn more about the DeForest Area School District. Learn what's happening in the Norski Nation. DAHS will present Arsenic & Old Lace, April 25-27 in the Performing Arts Center. The DeForest Area High School Band & Choir will come together on May 2nd to honor Capt. 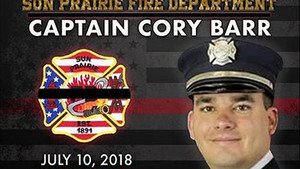 Cory Barr, the firefighter who lost his life in The Barr House explosion in downtown Sun Prairie. Members of the group DeForest And Windsor Now (DAWN) hosted its seventh annual Constitution Speech Contest on April 17, 2019 in the Little Theatre at DeForest Area High School. Participating students selected a Bill of Rights Amendment and defended it to a panel of judges. Information about the April 2nd school referendum to increase capacity, address aging facilities, update learning spaces, and support operational expenses. Information and schedules for state required accountability assessments and district instructional planning tools.